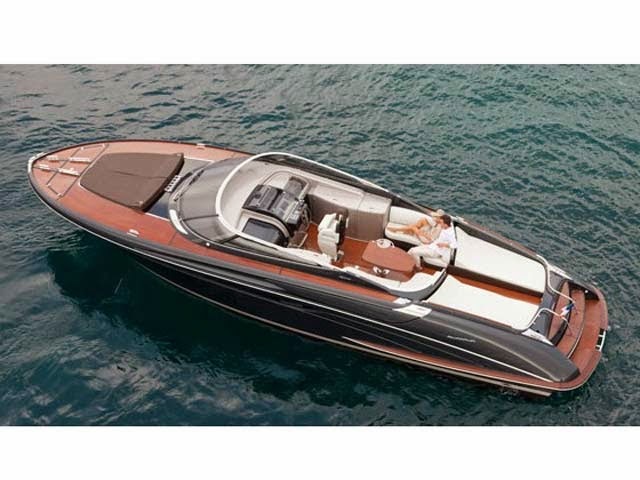 This is the "Rivarama Super" from Italian manufacturer Riva. 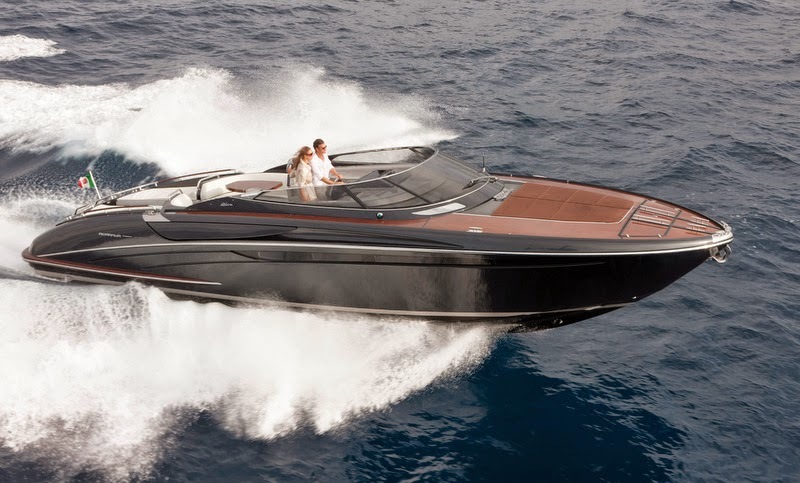 This is one beautiful boat! Powered by twin turbo-diesel engines developing 800HP each, the nearly 29,000lb (dry) boat has a top speed of 41kts (47mph). Notice the center positioned steering station. This rather isolates the pilot from the rest of the passengers, but with the Rivarama, that's the point. 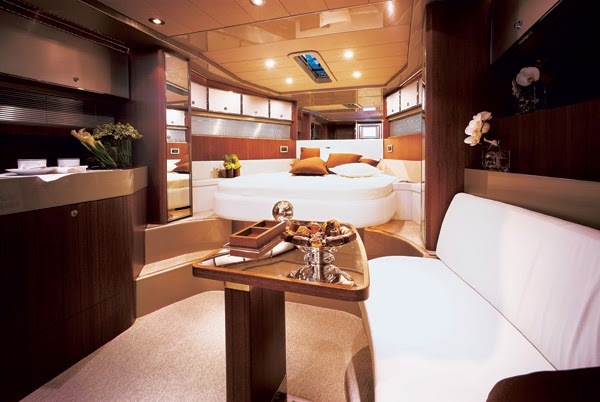 This vessel is meant to be piloted by a crew of one with their own sleeping quarter behind the main passenger cabin, complete with bathroom. The interior is as one might expect.